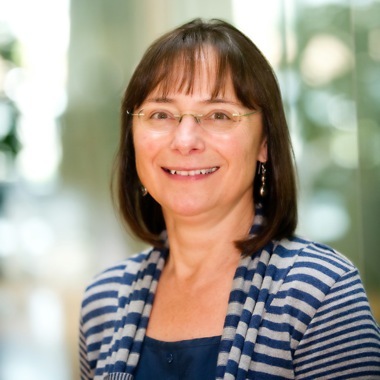 Karen Vousden is the Director of the Cancer Research UK Beatson Institute in Glasgow. The Beatson Institute carries out a program of world-class science directed at understanding key aspects of cancer cell behavior and provides a state of the art facility where basic and clinical scientists can work together to translate these discoveries into new therapies and diagnostic/prognostic tools to help cancer patients. Dr Vousden's own research focuses on the tumour suppressor protein p53, which plays an important role in cancer prevention. The Vousden Lab is interested in understanding the signals that induce p53 and the functions of p53 that contribute to its ability to prevent cancer progression. Ultimately, they hope to be able find ways to use an understanding of the p53 pathway for cancer therapy. Dr Vousden received her PhD in Genetics from the University of London, followed by postdoctoral fellowships with Chris Marshall at the Institute of Cancer Research in London and Douglas Lowy at the National Cancer Institute in the USA. She then became head of the Human Papillomavirus group the Ludwig Institute for Cancer Research in London before moving back to the NCI in 1995, where she was Director of the Molecular Virology and Carcinogenesis Section at the ABL-Basic Research programme and then Chief of the Regulation of Cell Growth Laboratory. She took up her current position in 2002. Dr Vousden has been elected as a fellow of the Royal Society, the Royal Society of Edinburgh, EMBO, the Academy of Medical Sciences, the European Academy of Sciences and the American Association for the Advancement of Science. She has been elected a foreign associate of the National Academy of Sciences. She has also received honorary DScs from the Universities of London and Strathclyde. Her awards include the Tenovus Gold Medal, the Sir Frederick Gowland Hopkins Medal, the Royal Medal from the Royal Society of Edinburgh and she was made a Commander of the British Empire for services to clinical science. She is presently on the Board of Directors of the AACR.